Bulgaria lies in the eastern part of the Balkan peninsula and is divided into four landscape zones. Bulgaria borders Romania to the north, Serbia and Macedonia to the west, Greece and Turkey to the south. In the east, the Black Sea forms the natural border. The capital and seat of government of the Republic of Bulgaria is Sofia. All of Bulgaria is filled with a unique blend of tradition and modernity. Impressions from the original Bulgaria can be found in the Central Balkans area, which is home to the former capital of Bulgarias' Veliko Tarnovo. Around the new capital of Bulgaria, Sofia, life is pulsating. Sofia is located in eastern Bulgaria, just a few kilometres from the Yugoslav border. If you want to rent a car, there are several car rental companies at Sofia Airport (SOF). Varna Airport also has a good offer of car rental companies. You can also rent a car on the spot, e.g. if you spend your holiday in Burgas or Gold Beach in Bulgaria. Welche Flughäfen gibt es in Bulgarien? What traffic rules apply in Bulgaria? Right of way: Trams always have right of way. What speed limits apply in Bulgaria? Sofia has been continuously populated since the New Stone Age, making it one of the oldest settlements and cities in Europe. After regaining Bulgarian independence, Sofia became the capital city of Bulgaria in 1878 and subsequently the political, economic and cultural centre of the country. For this reason, the country's most important theatres, museums and other cultural institutions are located here today. The capital Sofia is a city with many sights. 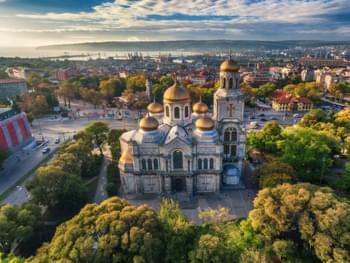 You should therefore use a rental car in Bulgaria for your sightseeing tours. What attractions are there in Sofia? There is the National Academic Theatre "Ivan Vasov", the National Academic Theatre for Opera and Ballet, the Theatre "Salsa i Smjach" (Tears and Laughter), the Theatre Sofia, the Studio Theatre of the Academy of Theatre, the State Operetta Theatre, the Satirical Theatre, the Central Puppet Theatre and the Philharmonic Orchestra. Visitors also have the opportunity to visit numerous museums in Sofia. For example, there is the National Archaeological Museum, the National Art Gallery, the Ethnographic Museum and the Natural Science Museum. There are also many interesting buildings, parks and sporting attractions to admire in Sofia. Burgas is the fourth largest city in Bulgaria. Due to the temperate continental climate the summers in Burgas are hot, but with a constant breeze thanks to the proximity of the sea which is quite pleasant. The winter is mild and mostly without snowfall. If you are travelling with your rental car in Bulgaria, you should not miss the beaches on the Black Sea and the holiday paradise of Burgas on the southern Black Sea coast. On the beach, you should definitely visit the sea bridge with a viewing platform and in the city the Archaeological Museum, the Art Gallery and Kiril i Metodij Church with its typical Bulgarian Orthodox interior. 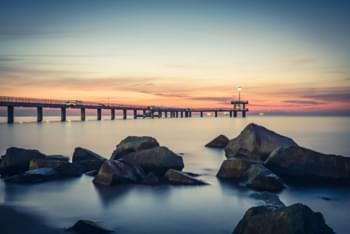 Burgas is the ideal holiday paradise for nature lovers. Burgas is also an ideal starting point for excursions to the Poda Nature Reserve, which can be reached by rental car via the E87 trunk road to Sozopol. Especially in spring and autumn, during bird migration, a trip to Poda is recommended. Varna is a seaport on the Black Sea in Bulgaria and is the third largest city of the country after Sofia and Plovdiv. Varna's international airport is the third most important airport in the country after Sofia and Burgas. 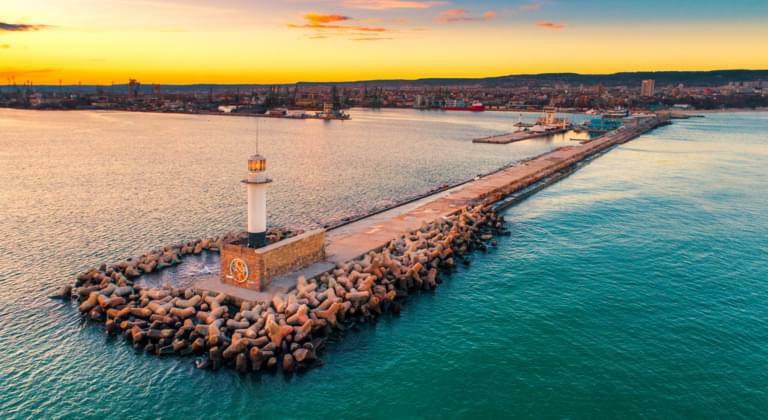 Varna has the second largest port in Bulgaria after the port of Burgas and is well connected to the Bulgarian road network. In the summer months Varna is a lively tourist centre. The port city is the cultural centre of northeastern Bulgaria and is also internationally renowned for its festivals. The city's archaeological museum also houses the oldest gold treasure in the world. Varna also has a lot to offer bathing enthusiasts. For example, the golden beaches are particularly noteworthy on this part of the coast. The Seven Rila Lakes are located in the northwestern part of the Rila Mountains in Bulgaria. They are the most visited lakes in Bulgaria. The lakes are situated at an altitude of 2100 to 2500 meters. Each lake has a name that is identified by certain characteristics. It is definitely worth exploring this varied country with a rental car. Due to the very well developed infrastructure and a total length of the roads and motorways of more than 37,000 kilometres, Bulgaria's most beautiful corners can be reached very flexibly with the rental car. Drive a rental car through the unbelievably varied natural landscapes of Bulgaria. You can rent a car in Bulgarias' mountains or you can drive a rental car to one of Bulgaria? s numerous beaches. Bulgaria's Black Sea coast is also easy to reach by car on the highway. Bulgaria has a lot to offer its visitors. Discover Bulgaria by renting a car.